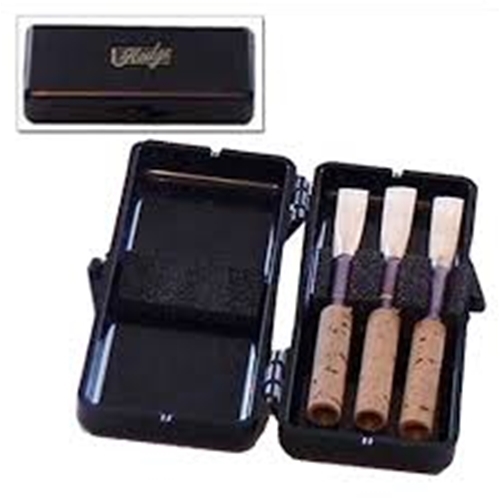 Hodge - Oboe Reed Case 3-Reed black plastic oboe reed case with foam reed holders. Made with strong ABS plastic and metal hinge pins. Fits inside the reed case slot found in most oboe cases.